Net10 LG 900g Review - QWERTY Keyboard! 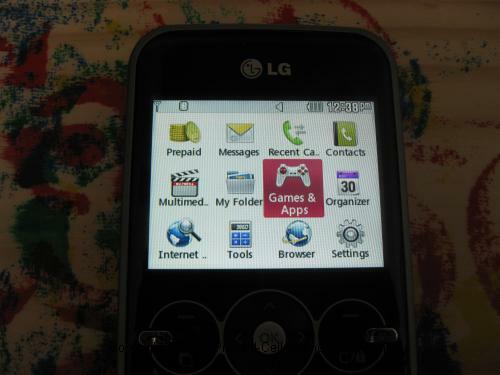 The NET10 LG 900g app-capable phone has a large bright screen, 2.0 megapixel camera to go with its mp3 music player. You can text while listening to the music player or FM radio. When it was first released, this phone was compelling enough that I switched from a Samsung T401g to try it out. Treat Yourself to the New LG900G Qwerty! First Impressions – It’s a Beauty! I love the large bright screen! Even the included wallpaper (called “wallpaper”) is quite beautiful for a standard graphic, even though I usually replace it with favorite personal photos. The size of the screen allows for the Date, Time, airtime balance, and expiration date to be displayed in a nice layout. As usual you can choose whether to display the airtime info on your Net10 LG 900g. For a while, I thought you had to keep the large display of the time and date as I haven’t figured out how to shut that off. Basically, the time and date can get in the way of photos you might want to use as wallpapers because they tend to cover the faces in your photos. 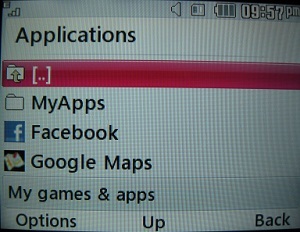 Then I saw that among the choices for what to display on the screen (such as clock, calendar etc.) was a choice to display nothing. So there was the solution right in front of my face. Let’s get right to the big thing about the LG 900g which is the ability to run Java applications. When you go to the Applications menu, you’ll find there’s just one app pre-installed to get your started, but it’s a good one, a Facebook app. The Facebook app allows you to access the biggest social network in the world. This app designed by Opentech ENG rather than Facebook. It presents a nicer interface than having to just interact with the mobile version of the social networking site (which you can also do). You should be able to install java-based mobile web apps on your Net10 LG 900g from other sites. For example, I was able to install the Google maps application from Google’s site. This phone is supposed to have fast web-browsing and that true to an extent. The browsing is faster than on other Net10 phones, but don't expect it to like your laptop on a fast connection. The speed difference shows up in these two ways. One, the downloading is slightly faster than on previous Net10 phones. Two, the cursor moves a lot faster as you scroll down a web page. Still it’s not as fast as I expected. Some readers have also complained that this phone gets an out of memory error when trying to view some web pages. To speed up your web surfing, you should try to load up the mobile version of a web page if it’s available. For example, it’s quicker to go to m.weather.com than to click through from the weather link from the phone’s mobile web home page. If you have frequently visited pages, you should save them as bookmarks and load the page directly rather than starting up the web browser first and loading the home page which always uses up one or two minutes or airtime. The vertical QWERTY keyboard on the 900g is well-constructed and pretty easy to use. The only thing I found took a little getting used to was having the “zero” (0) to the right of the “nine” (9) rather than below the 8. Instead, the space bar is below the “eight” (8). Also the pound (#) and star (*) keys are on the side as well. On a vertical QWERTY keyboard the keys are a little smaller and closer together than on a horizontal one. The disadvantage of being a little harder to type with two hands is made up by the possibility of being able to use with just one hand instead (but not while driving, please). Because there is just one keyboard, there is one piece of info missing that does drive me a little crazy sometimes. This is that people will sometimes list their phone numbers according to their corresponding letters such as 1-800-ILUV-YOU. On this phone, you can't tell what numbers to dial that correspond to those letters. 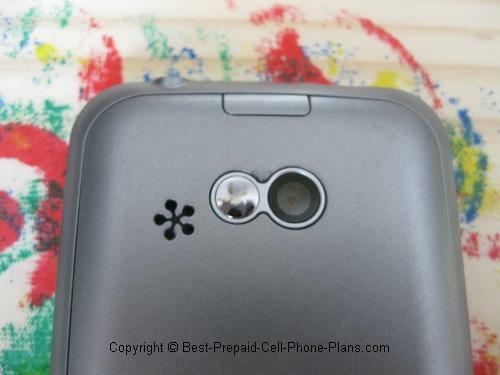 I was excited about having a 2.0 megapixel camera on a prepaid phone. Granted, any old regular digital camera probably has at least ten megapixels these days, but I usually don’t carry one around with me most of the time unless I’m going to a special occasion. 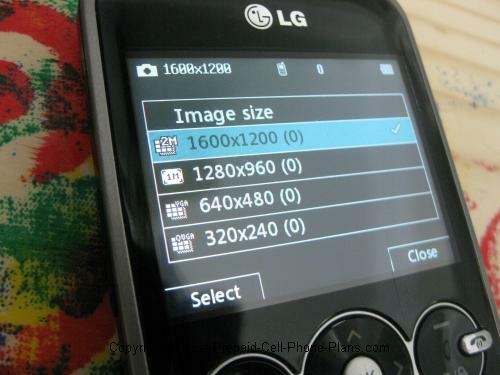 You usually don’t care much whether a camera is 10 or 12 megapixels because the percentage difference is pretty small. Going from 1.3 to 2.0 megapixels, however, is quite a big jump. At 2.0 megapixels, you get a picture that is larger than my laptop’s screen. The advantage of the camera of the Net10 LG 900G is that you get to take a photo of something you don’t see every day and, in fact, may never get around to seeing again. An example is the white bicycle art I spotted while running an errand for work. One thing I’m not a fan of is holding the phone vertically while taking the photo. On the T401g, I turned the camera on its side and used the camera button as if I was holding a digital camera. If you prefer that orientation, you might want to get the Samsung T404g which also has a 2.0 MP camera. This handset has an MP3 music player which plays songs that you store on a microSD card inserted into the phone. Best of all, there is a 3.5mm jack so you can plug in your regular stereo earphones without having to buy an adapter. (This was somewhat rare at the time.) You can hear the music out of the phone’s speaker if you really want to, but you need the earphone to listen to the radio. There is an FM radio as well. You need to connect a pair of stereo earbuds to listen to the radio. The wires connecting the earphones act as the antenna for picking up the radio stations. The radio is pretty nice. You use the right and left nav bar keys to move up and down the dial. When you find a station you like, you can save it as a pre-selected station. You can save up to 50 stations, which is pretty cool. 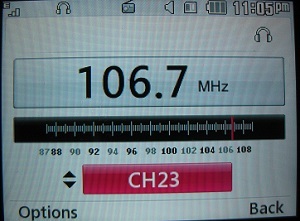 You can also directly set the frequency in MHz, something like "107.3", to listen to a particular station. The Net10 LG 900g comes with two games installed, WordAttack and Sudoku. Sudoku comes in the form of a "Cafe". It's the usual games, but you can do some extra things like change the wallpaper. When you put in a wrong answer in one of the boxes, the phone vibrates! WordAttack is a game that teaches you how to type fast on the QWERTY keyboard and builds your vocabulary. I first though it sounded quite boring, but it’s been a hit with my kids! You also have to option to buy additional games. You should also be able to install free games that you can download to the phone. The phone has the usual slew of tools and utilities. Here's a small sample of some of the more useful and used items. You can use the voice recorder for short messages up to 2:58 in length suitable for sending as attachments in MMS messages or record up to 2 hours and 20 minutes of low (voice) quality audio – good for things like meetings. This is a great prepaid phone. It has the ability to run apps, and it has an upgraded camera. It's available in retail stores or you can go direct and get the Net10 LG 900g with free Shipping . Already have one? Great, tell us about it! Play 90 minute FLV movies with a larger memory card? How to use external memory card? Treat Yourself to the LG900G Qwerty! This is still one of my favorite phone though I no longer use it. 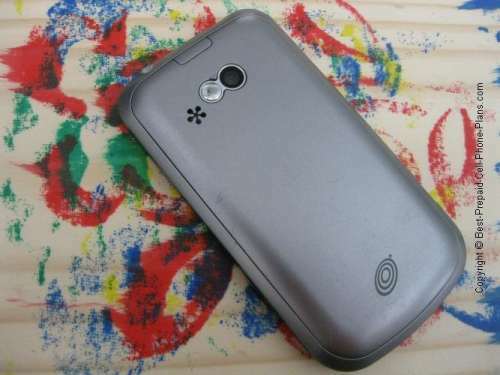 Since its release, there have been a few other QWERTY phones and app-capable touchscreen phones introduced by NET10 and its related brands, names Tracfone and NET10. Here are some of these phones. The Samsung S390G adds WiFi access and an email client (both big pluses) and trackpad navigation (a plus or minus depending on your taste). Its secret weapon is a YouTube apps that's available over WiF. The LG 500g has a smaller form factor and may be an option if you can handle the narrower keyboard. 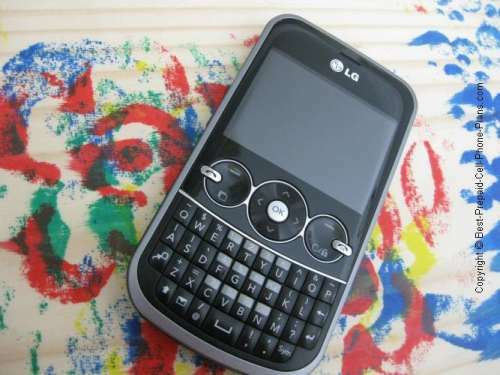 If you don't want a phone with a QWERTY keyboard, then the LG 840g is the most advanced of the prepaid touchscreen phones that doesn't cross over into smart phone territory.